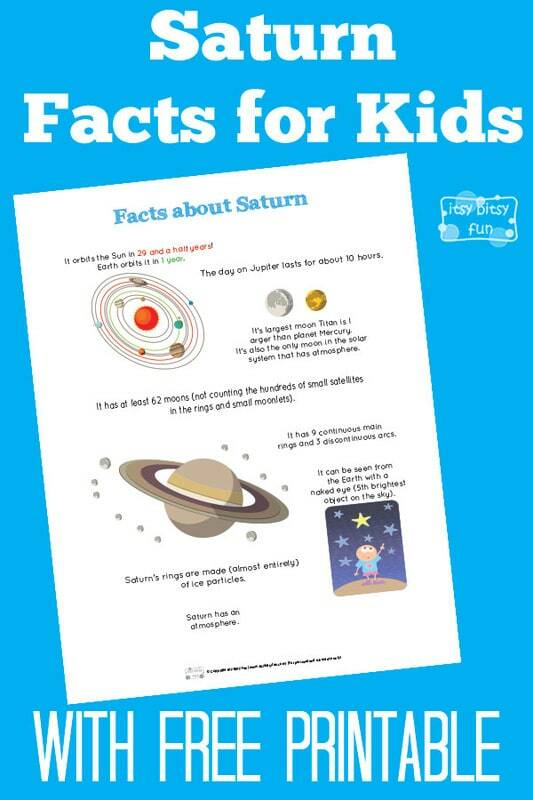 Let’s learn with facts about Saturn for kids! We went through the solar system facts for kids the other day and now it’s time to take a closer look at the planet with the magnificent rings. Another planet that is super popular with kids, I was a fan as a kid and still think it’s rings are simply amazing. Let’s learn something the planet with rings shall we? Saturn’s rings are made (almost entirely) of ice particles. It has 9 continuous main rings and 3 discontinuous arcs. It orbits the Sun in 29 and a half years! The day on Jupiter lasts for about 10 hours. It has at least 62 moons (not counting the hundreds of small satellites in the rings and small moonlets). It’s largest moon Titan is larger than planet Mercury. It’s also the only moon in the solar system that has atmosphere. It can be seen from the Earth with a naked eye (5th brightest object on the sky). 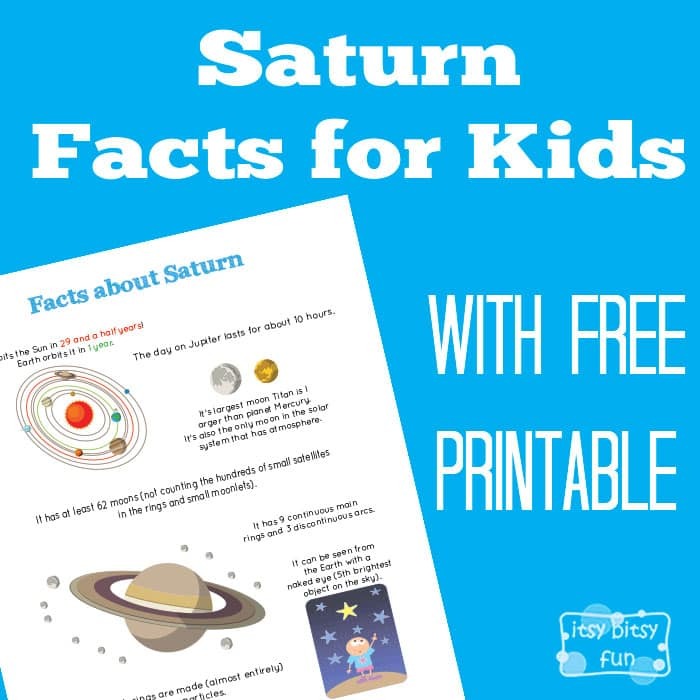 Get your free printable PDF with Saturn Facts here.